Mawsonites spriggi was originally interpreted as a primitive jellyfish and was specifically compared to living Stauromedusae (stalked jellyfish). 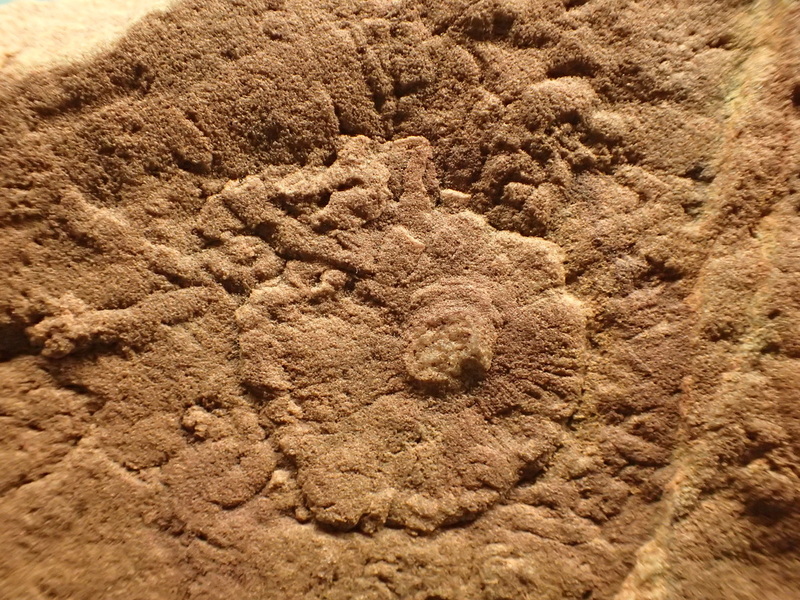 More recently, M. spriggi has been interpreted as a holdfast disc for a frond-like organism, and an alternative view interprets it as an artefact of mud-volcanoes, although evidence suggests this latter perspective is unlikely. Large, compressed, but in life presumably dome-shaped, becoming steeply conical near centre. Central conical part smooth-walled, truncated, and compressed in curved, overlapping folds in the holotype. The greater part of the surface is strongly sculptured with arcs of prominent, large, irregular, bosses which increase in size out-wards, and merge into the peripheral zone which is dominated by large, irregular, radially elongate lobes separated by deep clefts. They form radial furrows on the outer half of the disc. Periphery lobate. A circular area bearing the conical centre and the enclosing one or two arcs of bosses was more compressible than the remainder of the bell and was enclosed by a shallow annular groove on the surface of the dome. The classification of Mawsonites randellensis is uncertain, as it is rare, and shares a lot of homology with M. spriggi. Jenkins, R.J.F. 1992. Functional and ecological aspects of Ediacaran Assemblages. In Origin and early evolution of the Metazoa. J.H. Lipps & P.W. Signor, eds. New York: Plenum Press: 131-176.